This week’s Moderns Wholesale Market Dealer Price Guide is filled with price adjustments, especially within the bullion issues. Since the last Moderns issue, Gold is lower and Platinum is higher. Yet, the premiums are still abnormally high. Most of the Platinum coins are higher, while Gold Eagles are mixed. There are a noticeable number of declines for coins that grade Mint State or Proof 70. Some of these ultimate grades decline when there has been a marked increase in the number of coins certified at this high level. Buffalo Gold appears very active at current Market with the Fractional coins being very difficult to locate. The majority of information on the dealer teletype systems represents dealers trying to buy the smaller Buffalo coins at any reasonable level. As we have noted several times in the past, Early Proof Lincoln Cents are very popular and usually sell above current Market levels. There are numerous Market price increases for dates and grades that were recently sold in auctions. Most dates from 1909 to 1914 exhibit an increase in wholesale prices. Other Modern series appear to be rather soft at this time. 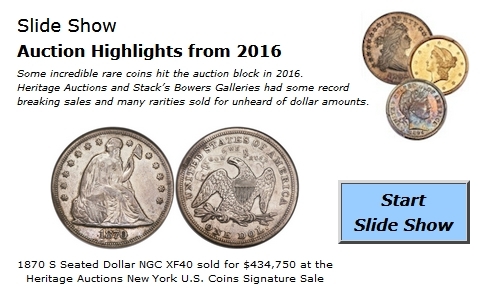 There are several declines for MS68 Roosevelt Dimes that recently sold at discounts of previous levels. Wholesale buying support in this area has faded as of late. Mint State and Proof Washington Quarters are drifting lower because there are more sellers than buyers at today’s levels. For most dealers with coin shops, the day-to-day business consists regularly of bullion related transactions. It appears that liquidity has taken over as the primary consideration when purchasing coins today; however, the profit motive is still a close second. The market is consumed with maintaining liquidity while trying to maximize the value of a collector’s portfolio. This is very difficult to do in the face of fluctuating bullion prices. Although, the majority of collectors and investors feel bullion is headed to dramatically higher levels in the future.